The Synology version of WordPress is automated and easy to install. However, security updates are not implemented on a timely basis which leaves your website vulnerable to attacks. 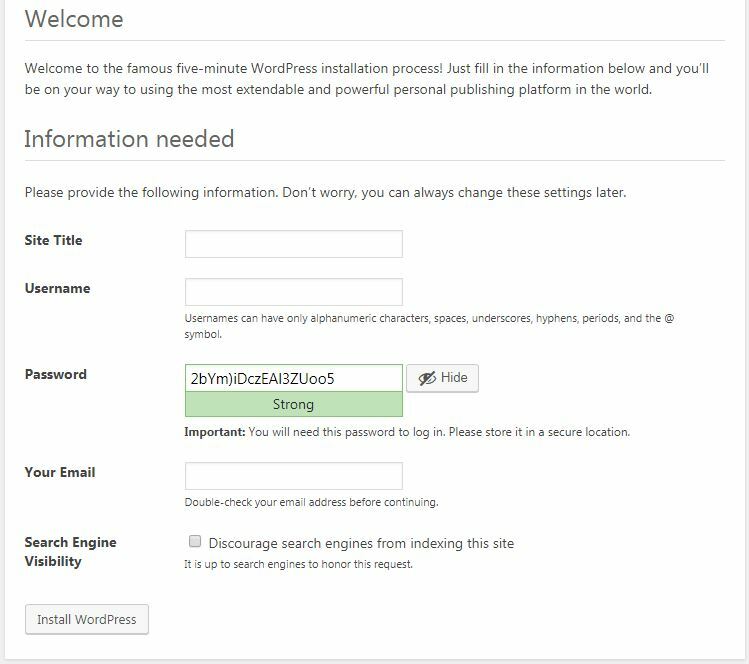 While installing WordPress from WordPress.org is a bit more complicated, security updates can be installed when released. Before you begin you should have MariaDB, php, phpMyAdmin and web station installed on your Synology. Additionally you will need to setup a website. 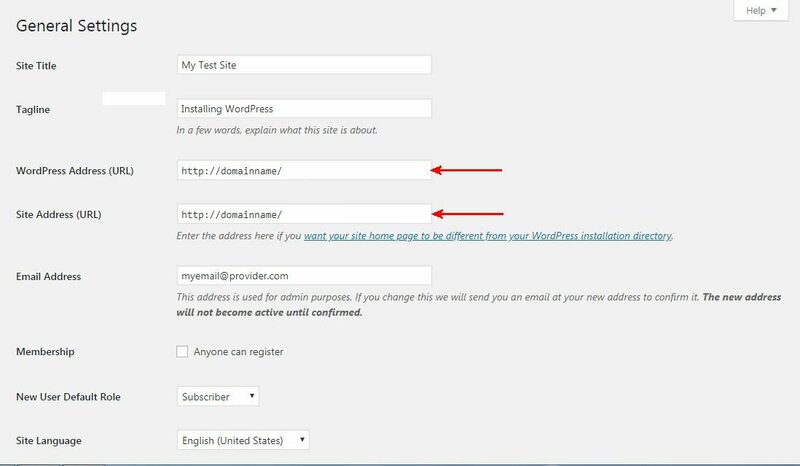 Download WordPress from WordPress.org. You can extract this file in your Synology web folder if you DO NOT have an existing folder named wordpress in the web folder. If you already have a folder named wordpress, you will need to create another folder with a unique name inside the web folder for your new installation. You can name this folder whatever you like but it must be different from your existing WordPress folder name. If you are NOT going to run multiple web sites, you can install these files in the web folder. I would not recommend this method as adding another site will require numerous changes. Once the WordPress files are installed, create a database in MariaDB. Select the User accounts tab and the following screen appears. Select the Add user account option shown at the red arrow below and select Go. 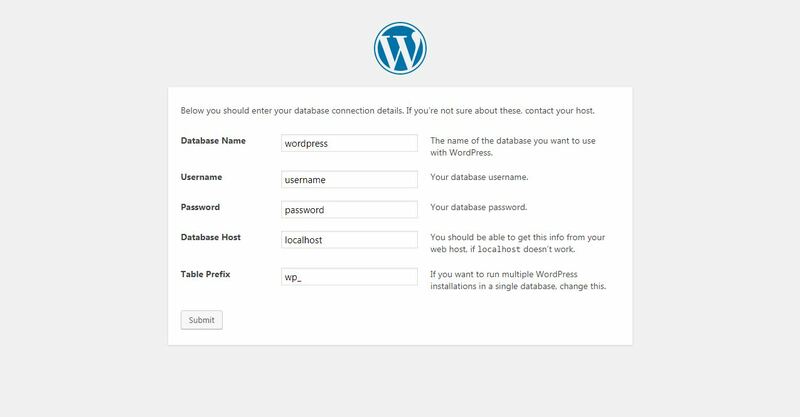 The user name is the name you want to give WordPress to access the database. In this example the database name will be the same as the username. WordPress uses a user name and a password to access the database. Enter the password you want to use for your database and re-type to confirm. This is the password WordPress will use to access the database. It IS NOT the MariaDB password. 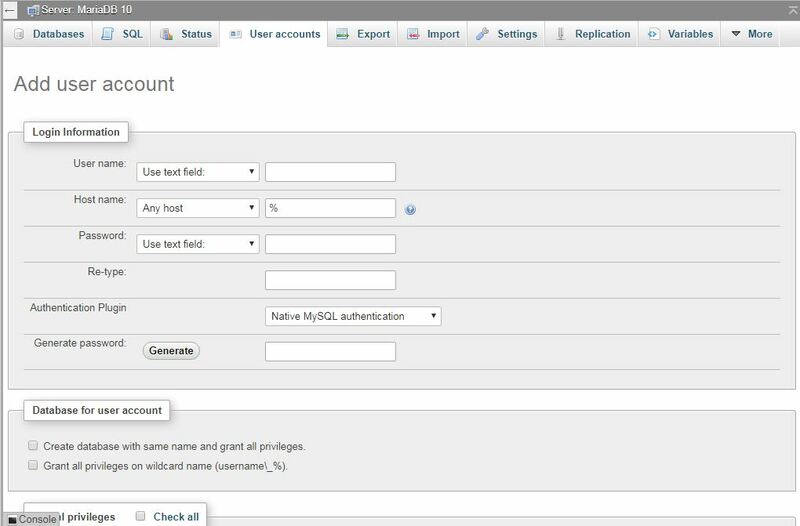 You can select Generate to have phpMyAdmin create a password as well. Make sure you copy and paste or write down the password somewhere safe. 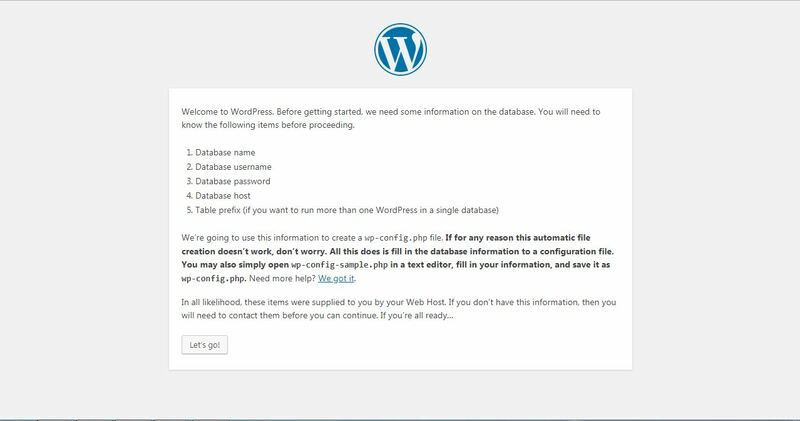 You will need it to connect WordPress to the database. You do not need to grant global privileges however privileges can be changed later if you want this user to access another database. If you want to use SSL enable it on your Disk Station. Enabling SSL on the database may prevent WordPress from connecting to the database correctly. The WordPress.org version it does not allow connections for updates and downloads by default. To avoid using FTP, use a UTF-8 text editor such as Komodo IDE or NotePad++ and add the following code at the end of the wp-config-sample.php file. If you do not want to edit the sample config file, use the download link below and extract to your WordPress folder. Now you are ready to install WordPress. There a a few ways to install WordPress depending on what you have setup so far. You can use a URL or a local LAN address in your browser. 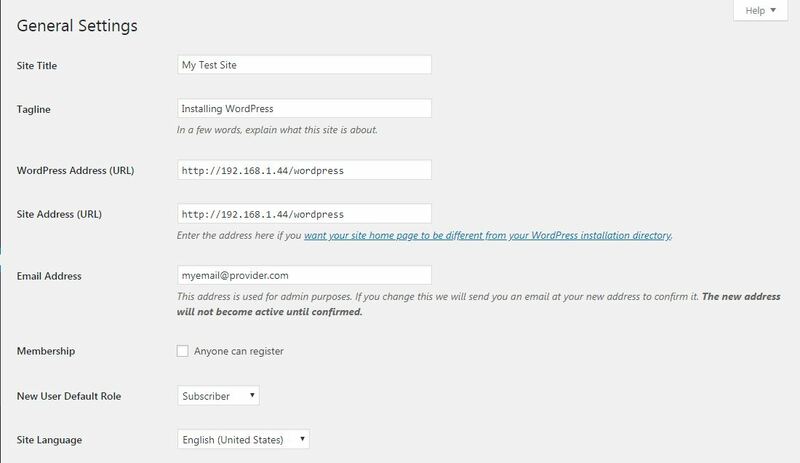 Choose the method you prefer to start the WordPress installation. If WordPress is installed in the web folder, enter your website URL (Universal Resource Locator). If you do not have a URL address setup you can use a LAN address instead. On this screen enter the database connection information. Enter the database name you created in MariaDB using phpMyAdmin. Enter the database host information. You do not need to change the Table Prefix unless you have an existing WordPress installation. If you do, the table prefixes must be different. You can use a combination of letters, numbers and underscores like wp1_ or wp2a_ or anything else, except symbols. Just make sure the table prefixes are different. After you enter the information click the select button and the following screen should appear. If you get an error go back and make sure you entered the information correctly. When the screen above appears click the "Run the installation" button. 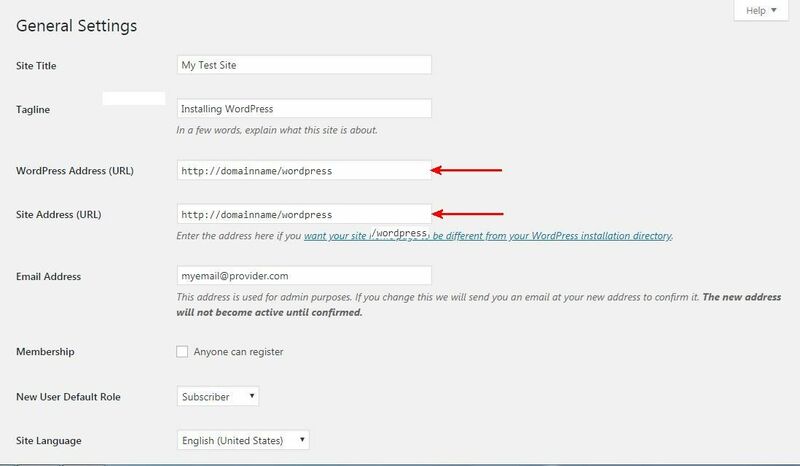 Enter your website information on this screen and click the "Install WordPress" button. When the installation completes the WordPress login setup screen appears. Enter the title for your website. Then enter the user name and password you you will use to login to WordPress. Finally enter your admin email address and then check the box if you want to discourage search engines. You will need to change the WordPress Address (URL) and the Site Address (URL), shown at the red arrows, so users can access your site from the internet. An example is shown below if you are not using a virtual host. Make sure you type any changes accurately or you will not be able to access your web site and get a 404 error instead. If you make a mistake you cannot correct URLs using WordPress because you cannot connect. 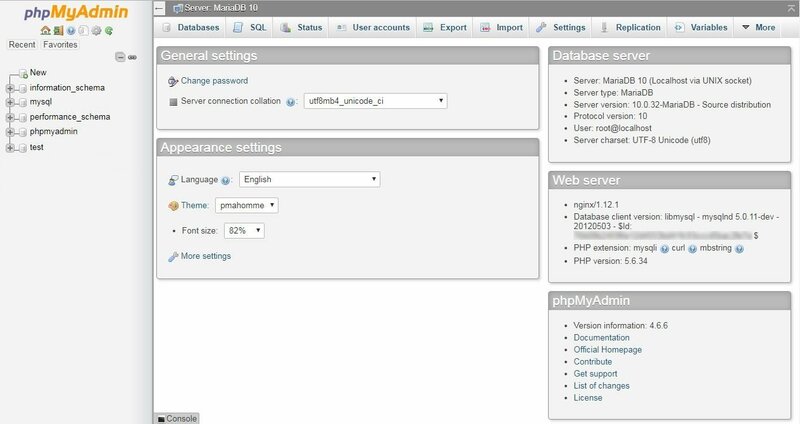 To fix these errors you will need to login to phpMyAdmin and edit the option table in your new WordPress database as shown below. If you are going run multiple websites from one IP address, try Synology's Virtual Host option in Web Station. 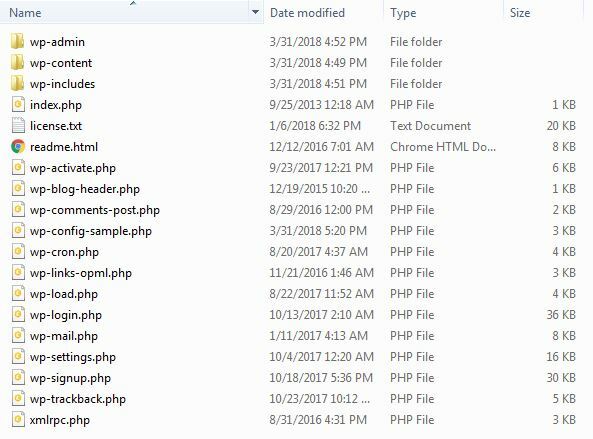 If you don't want to use a virtual host, you can create an index.php file in the root folder that loads WordPress. Use a UTF-8 editor like Komodo IDE, NotePad++ or WordPad to create the index.php file and place the following code in the file. If your folder has a name other than "wordpress" change the path to use your folder name. You should use Apache for the backend server with each program folder containing an .htaccess file. Wordpress creates a htaccess file when it installs. However the file may not load the fastcgi protocol or contain a rewrite base declaration if WordPress is loaded from a child of the web folder. Here is an example .htaccess file with fastcgi and a RewriteBase. Uncomment (remove the #) from the line for the php version you are using, if you want to use fastcgi. 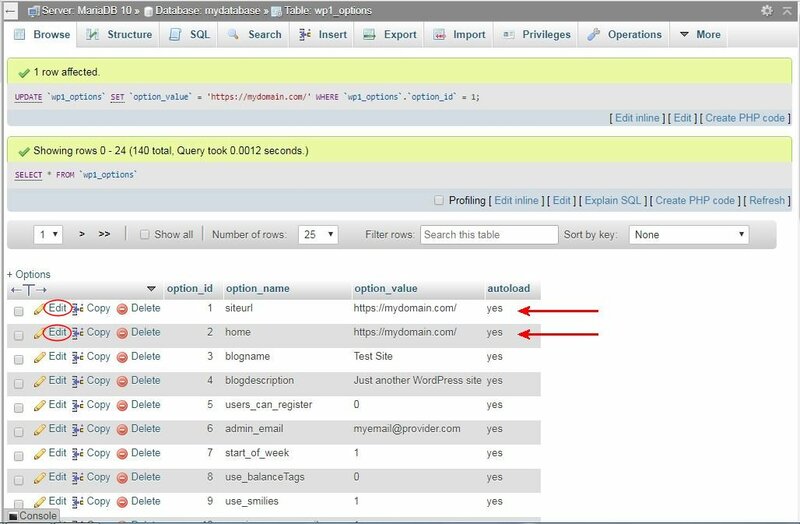 If your WordPress folder has a name other than "wordpress" change the RewriteBase line to use your folder name. If you are using a virtual host you do not need the RewriteBase line and can comment it out or delete it. You can use NGINX instead of Apache but this is more complicated and requires creating or modifying system conf files. Thank you so much for writing this guide! If you're getting an error, what is the error code? Thanks for the quick reply, Steve. I made a couple changes and solved it. I changed the owner of the wordpress.org folder to by 'http' and I updated the permissions on the group to be Read/Write. For some reason the permissions were Read only. That’s great, glad to hear you solved the problem. One thing I’ve noticed is if you drag files from a zip, or copy files, to the NAS using windows, the folders or files may not inherit web folder permissions. However if you extract the zip files instead, permissions are almost always inherited. Totally blank, no error codes or anything. Changed owner and permissions with no result. Check permissions on the WordPress folder using file station. Right click the folder and select properties then select the permission tab. User http should have read/write permissions. 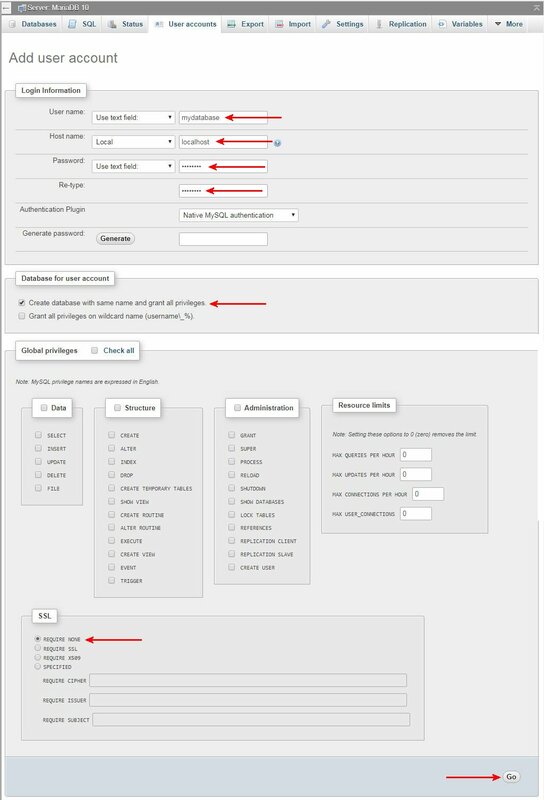 If permissions are incorrect select or create a http user, check the Apply to this foler, subfolder and files check box and give the http user read and write permissions. Up and running now. Thanks for your reply. Great, glad you have it running!